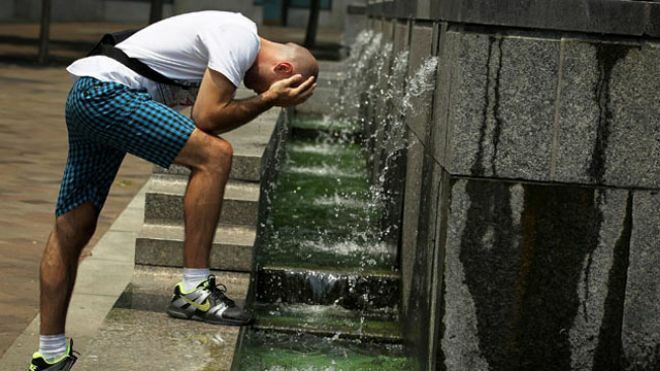 When it gets super hot and humid in Toronto you're going to be sweaty, cranky and tired. So how do you beat the heat and still manage to eat properly and get a good workout? Today we are going to do some ol' fashioned myth busting when it comes to exercise and eating healthy in the heat. 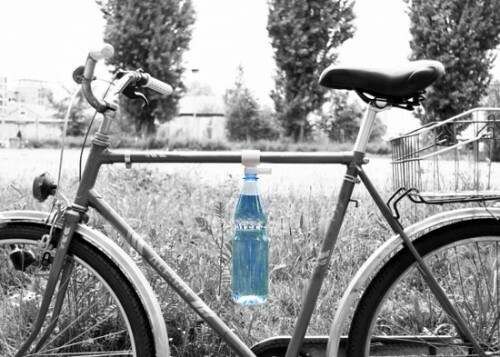 And give you some healthy tips along the way! #1. Is it really hot enough to fry an egg? No, not really. And seriously, would you even want to eat the egg? Stick to frying your eggs in a pan instead. #2. Does the heat actually make you more tired? Yes. Heat is very draining on your body and it uses a lot of your active energy just to try and cool your body down. Which means if you have air conditioning you will be able to sleep better at night. It isn't just the heat however - it is also the humidity. Which means a dehumidifier in your bedroom can also help you to sleep better. And better sleep = more energy the next day and less likely to binge on sugary foods to boost your energy levels. #3. 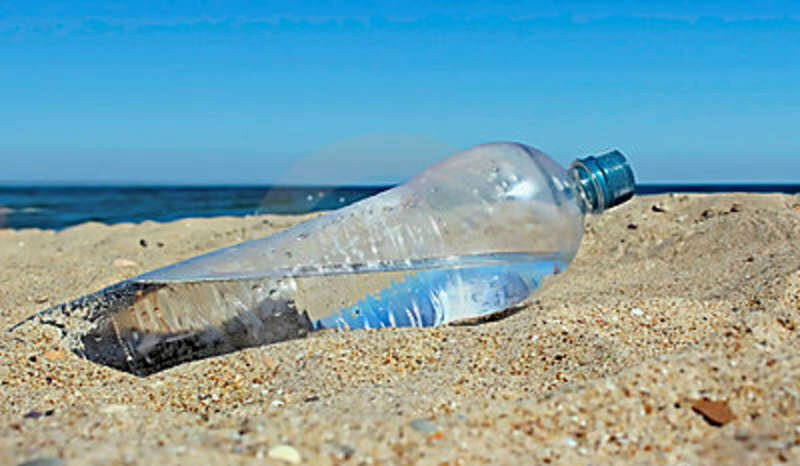 If you feel so tired that you are nauseous and dizzy (or suffering memory problems) you may have heat exhaustion or heat stroke, and you should get to some place cool immediately and drink some cool water. When in doubt call 911. #4. However, heat exhaustion doesn't mean you should jump in a cold shower or a pool. The shock could knock you unconscious. Your goal should be to SLOOOOOOWLY lower your body temperature back to normal. So a dip in a cool pool - not a cold one - will help. A cool / luke warm shower is also good. Drinking lots of water (not too much all at once) will also help. Avoid alcohol and caffeine, they will just dehydrate you further. #5. Avoid very large meals on a hot day. Binging on food will just make you more tired. Your body is already working hard to maintain your body temperature, so digesting a big meal will just put more stress on it. Aim for smaller, lighter meals - and eat snacks in-between meals. #6. When running / jogging don't drink ice cold water. Instead drink cool water that is only moderately cold. The reason is because your body has to expend energy to warm that water up. The lost energy then makes you feel more tired than you would normally be. 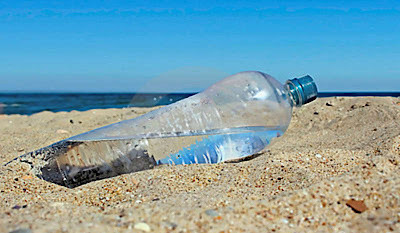 By drinking only moderately cool water you don't feel the energy drain as much but are still getting the cooling effect. 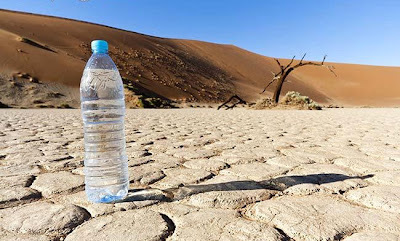 Some marathon runners prefer to drink water which is luke warm / room temperature that way they are minimizing their energy drain as much as possible and only want the water for hydration, not for cooling them down. #7. The more fit you are the less effect the heat will have on your body, this is true - but that doesn't make you immune to heat exhaustion, dehydration or heat stroke. If you start to notice symptoms of any of these three seek shade, a cool place and water. #9. If doing any kind of weight training outside on a hot day it is best to have a partner if possible. Long list of variety of safety reasons. And the list grows longer if you are older and / or unfit. Exercise caution. #10. Sweating a lot doesn't burn more calories. It just means your body is overheating and trying to cool down. If you feel too hot you won't be able to exercise as hard. 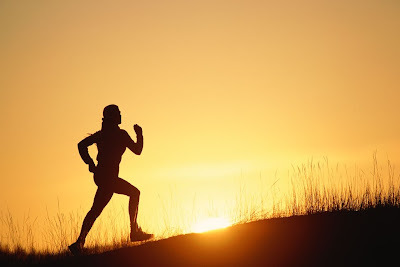 You can exercise much harder in cooler conditions because your body doesn't have to expend so much water, sodium and energy trying to cool you down. #11. Sports drinks like Powerade and Gatorade help. Why? Because in addition to the water they also replenish sodium and calories. 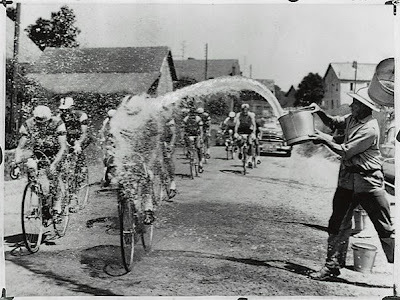 Gives you more energy, and the sodium means you can sweat more - which in turn cools you down physically - which in turn allows you to exercise harder because you don't feel as hot. #12. If you're tempted for a beer on a patio, try to stick to just one beer. None is better, but if you fall to temptation try to limit yourself to one and then have a glass of water with it. Same goes with coffee and other caffeine drinks. Alcohol and caffeine dehydrates you because you end up using more water from your body just trying to flush the toxins from your system. (Which is why you will feel the need to urinate later after drinking alcohol or caffeine.) 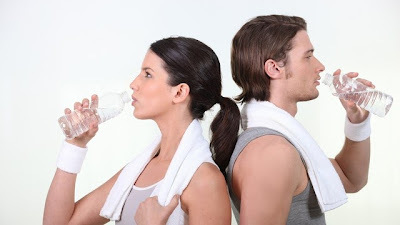 Exercising immediately after having alcohol is not recommended, but if you do try to rehydrate yourself by drinking a fair amount of water before, during and after the exercise. #13. Your body adapts over time to hot weather. It is why we get sunburns on our arms for example and later our arms become more resistant to sunburns. It is in our genetics that we adapt to summer by getting sunburns a couple times and by the time we have a good tan going we don't burn as easily - but you can still get a painful sunburn if you aren't careful! So use sunscreen, wear a hat and avoid long exposure to the sun. #14. Your blood vessels and sweat levels also adjust to the weather. You will start craving more salty foods and this is normal - the sodium in the salt replenishes your ability to sweat and keep yourself cool. #15. A health tip for women and men. Antiperspirants contain aluminum in the form of toxic chemicals like aluminum zirconium tetrachlorohydrex gly - a chemical proven to cause lymph node and breast cancer in both women and men. If you are going to use an antiperspirant try not to use so much - or switch to deodorant instead. Women who wear antiperspirant regularly have significantly higher chances of developing lymph node and breast cancer. In contrast most men use deodorant instead, which doesn't prevent sweating and instead just masks the smell - and thus men have significantly lower chances of lymph node and breast cancer because they aren't using antiperspirants as much as women do. This doesn't mean men cannot get cancer in those body parts, it just means that most men don't use antiperspirant and thus have lower chances. A man who does use antiperspirant regularly will have the same chance of developing lymph node and breast cancer as a woman who uses antiperspirant regularly. Also your body is going to sweat anyway. Swiping some toxic chemicals on your armpits isn't going to stop you from sweating from head, neck, chest, arms, belly, back, legs and so forth. In its efforts to cool your body down your body will simply sweat from all available pores anyway. "Hello! What are the pros and cons of exercising while sick? Exercising while sick is inherently risky. But there are several benefits if your illness isn't too serious. Eg. The common cold. If you can muster the strength and motivation to exercise while sick I first have several pieces of advice. #1. Take it slow. Take your time. Your endurance will be lower. #2. Use smaller weights if weightlifting. #3. Don't ignore proper nutrition. #4. Focus on form. Don't injure yourself. #5. Expect to do half of what you normally do. Heightened metabolism. You will get better faster. 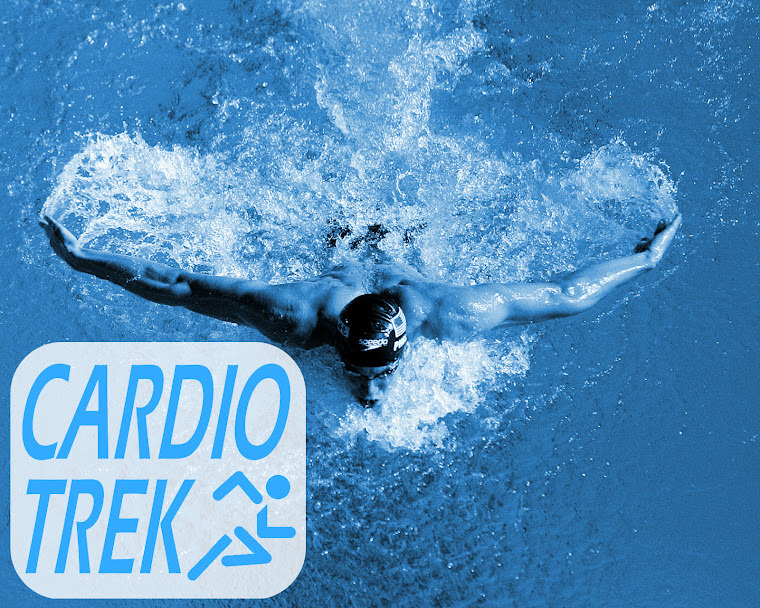 Maintains your muscle tone and endurance more so once you are recuperated you won't have to catch up on any losses. Low energy, so don't expect to do a lot. You really should not be exercising if seriously ill. 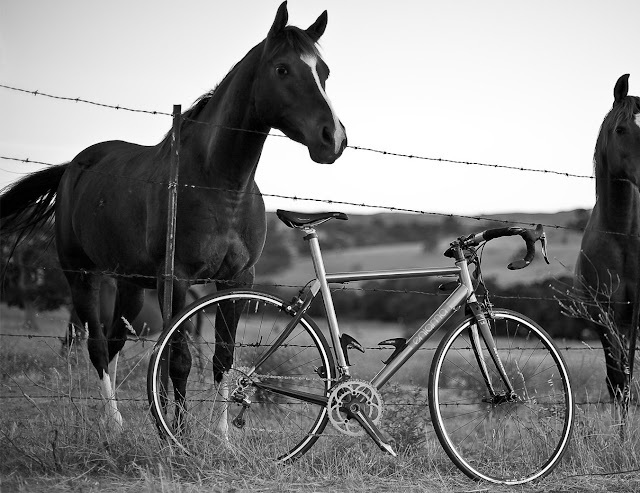 It is one thing to exercise while you have the common cold and another thing entirely if you are dying from pneumonia. 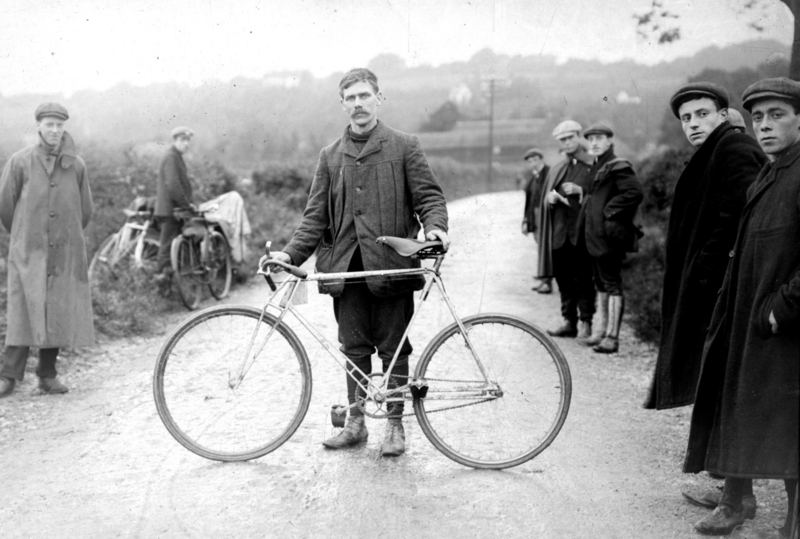 Weather conditions are a factor. 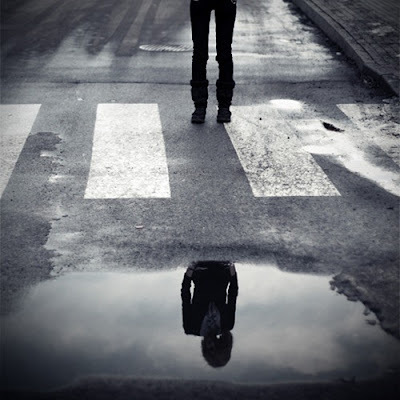 If you like jogging outside doing that while sick and it is raining outside, big no no. But if it was warm and sunny and you stay hydrated a short jog wouldn't hurt. In Toronto (since we get winter 4 months of the year) I don't recommend any kind of outdoor exercise while sick during the December to March period. this woman is using a Mongolian style thumb ring. 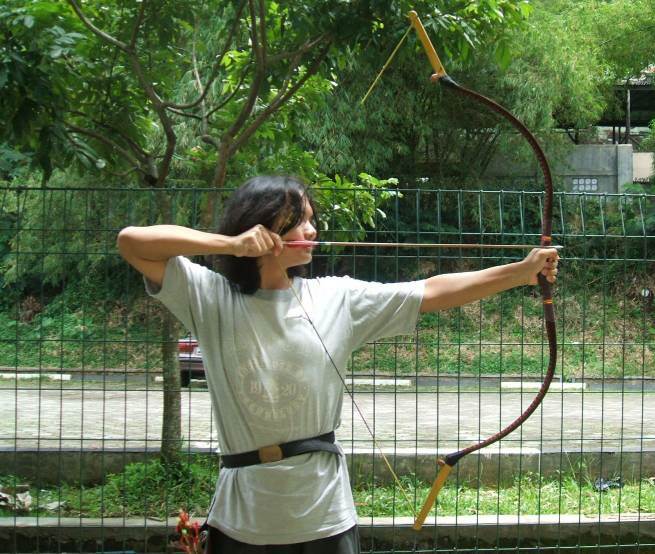 Archery is one of those sports where proper form matters a lot - especially if you are a beginner. To an experienced archer - one with years of experience - they can attempt to make a shot despite unstable footing, a weird angle, moving target, or even being on horseback in the case of equestrian archery. But for the beginner form is exceptionally important. 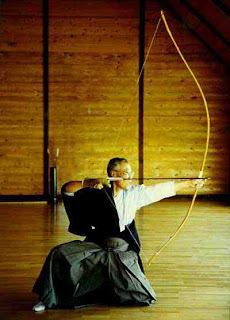 It is a case where you need to learn how to shoot under ideal conditions with perfect form, and then as you progress as years go by the archer will have learned enough that they can perform more difficult shots despite adverse conditions - because their experience has reached the point where they know how to compensate. 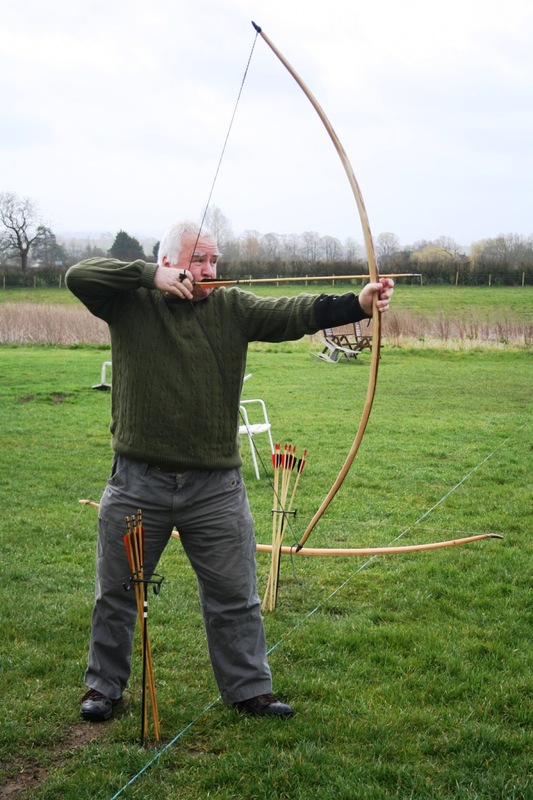 In the photo below you see a traditional archer leaning forward into the shot. This is something an archer would only do after years of experience. #1. Stand with both feet apart, roughly shoulder distance apart. Both feet should be pointed roughly 90 degrees away from the target. #2. Your hips and shoulders should be lined up towards the target. #3. 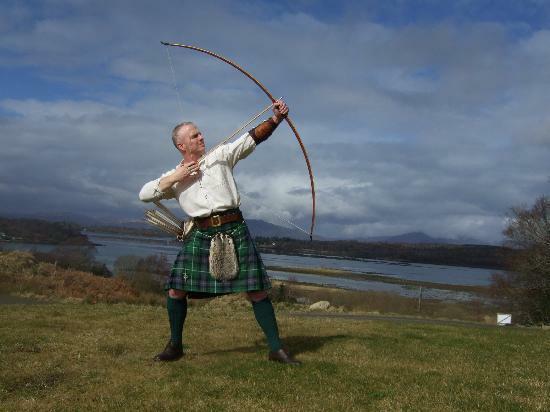 Your bow arm (left arm if you are right eye dominant) should be facing towards the target. When extended do NOT lock your elbow. Instead try to relax your arm. #4. Having nocked an arrow to the bowstring place three fingers on the bowstring, one above and two below, using a tab or finger gloves. (Some archers like to use all three fingers below. Personal preference.) Leave a bit of space, 1 or 2 mm, around the arrow so you don't squeeze the arrow by accident. #5. Don't touch the arrow with your thumb. 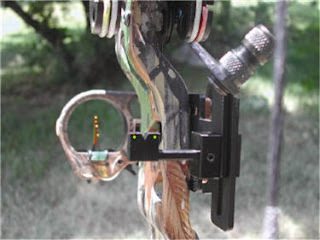 There is no need to use your thumb on the arrow or the bowstring. Same thing goes with your pinky finger. #6a. The Predraw - Predraw refers to pulling the bowstring part way and then checking to see if everything feels okay. If something feels wrong just start over. If your body tells you something isn't right don't ignore it, start over. You could be gripping the bow wrong, your stance might be wrong, your grip on the bowstring could be twisting the bowstring more than usual - any number of things could feel wrong on a subconscious level and warrant starting over. This is referred to as "checking your predraw". #6b. Pull the bowstring (not the arrow) back towards your face so it is under your right eye (or your left eye if you are left eye dominant). Don't pull it back to your ear. Pull back so it is near the corner of your mouth or your chin. This is so you can see clearly down the shaft of the arrow and now which direction it is going to go. Remember the spot where you pulled back to and continue pulling back to that point during each shot. 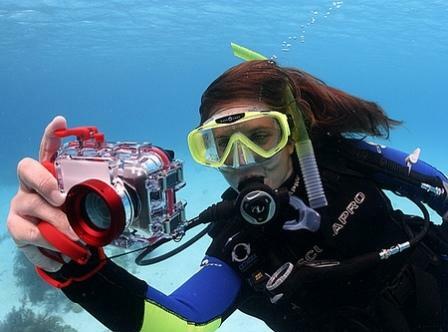 That spot is referred to as your Anchor Point. #7. Your forearm on your pulling arm should be aligned straight with the arrow. It should make a nice straight line with the arrow. If your elbow is too high or low your arm will shake more and your shots will be more errant. This is a common beginners mistake and it needs to be rectified so the archer can progress. 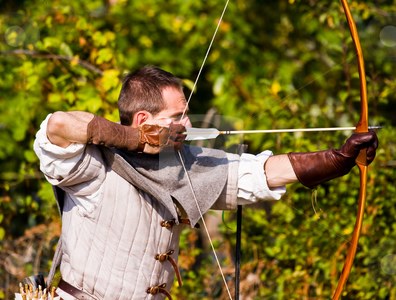 The mistake is most common with archers who have never studied proper archery form. #8. 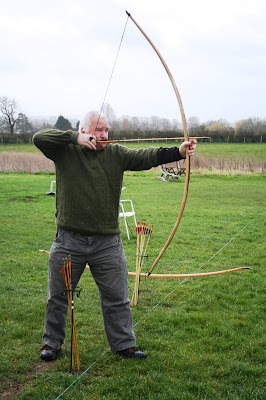 While pulling the bowstring back keep your back / spine nice and straight. 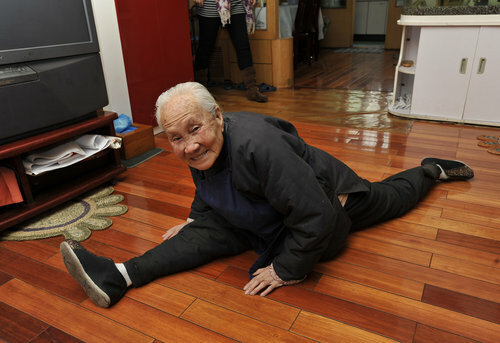 Curving the spine is a common beginners mistake. See photo of Marilyn Monroe below making this common mistake. #9. While aiming try to keep perfectly still. This is a difficult skill to master. An advanced skill is to learn to breathe into your belly so your chest doesn't go up and down. #10. 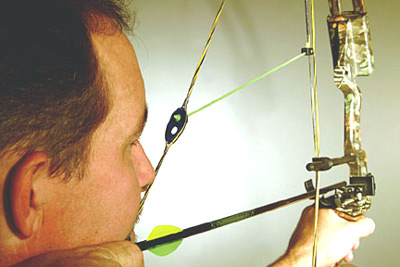 During your release try not to jerk your bow arm up / down or left / right. 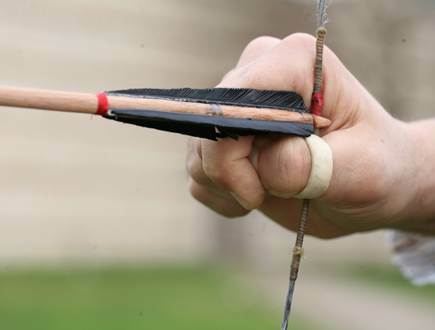 During the milliseconds during which your arrow is released any slight jerking motion in the bow can cause the arrow to go in a different direction. #11. The Follow Through - After your release maintain the same position for a few seconds and follow your shot. This is more a mental practice than a physical one. Use the moment to try and learn from any mistakes you may have made. #12. Draw another arrow and repeat, paying attention to your form. When in doubt have an archery instructor or a friend point out errors you are making in your form. 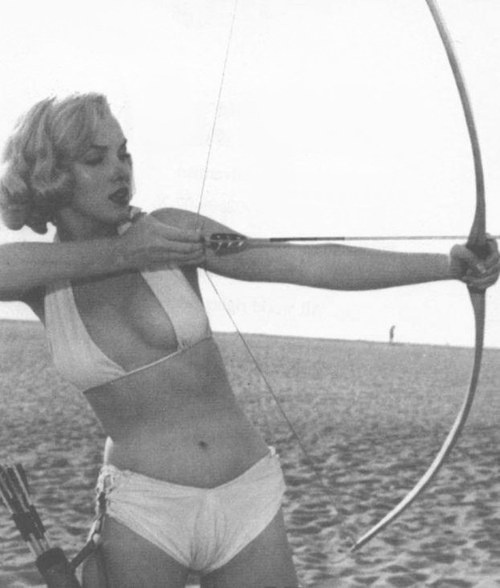 There is a lot more a person can learn on the topic of Proper Archery Form - I have touched only the bare essentials here. 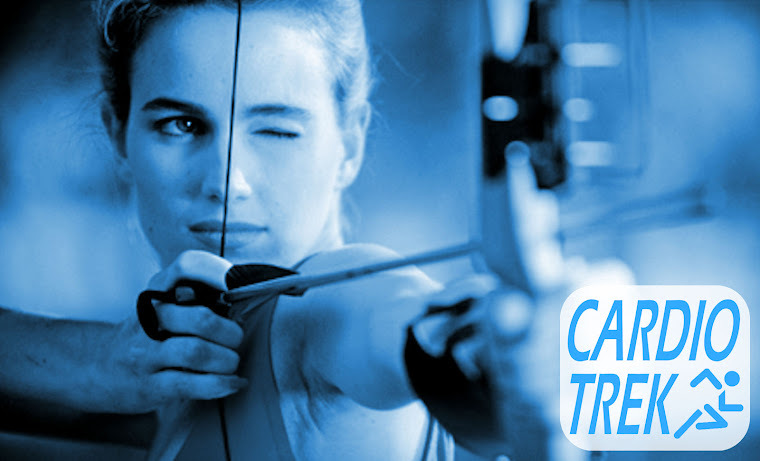 There is a lot more to learn if you are interested in having archery lessons. The following is step-by-step instructions on how to get the most out of your handgripper training. The program is designed for beginners, but adaptable for more intermediate and advanced grip trainers. Congratulations on your purchase of hand grippers (aka hand grips). Hopefully you purchased one that challenges you and isn't too easy - but also isn't too hard. If it feels too hard so that you can't even squeeze them for 10 times consecutively then you purchased hand grips that are too difficult for you to use properly and you should set them aside for now and use easier hand grips. If you can squeeze them easily and hold them indefinitely without problem then they are too easy and you need something harder. 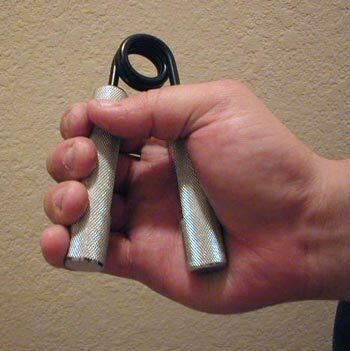 Try to find out what weight your current handgrips are and use a set which is several pounds of pressure more difficult. In this post I am going to be giving you tips, tricks, techniques and pictures to help you get the most out of your grippers and develop stronger hands and forearms. The sample training program is the same basic program used by many professional and amateur grip enthusiasts, athletes, bodybuilders and weightlifters. 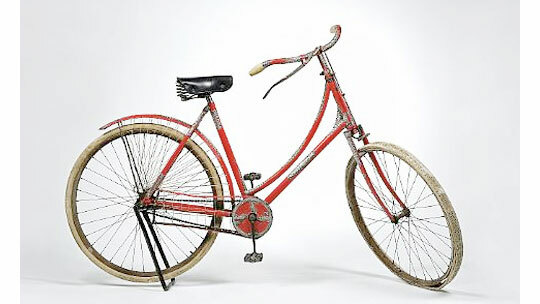 Followed correctly and you will see good results. 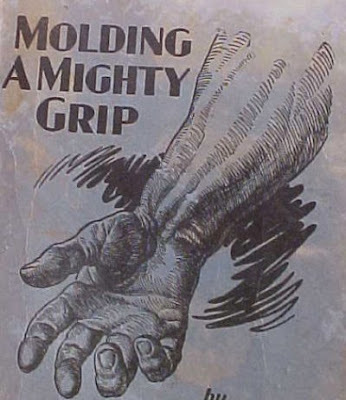 With time you will build up such strength that people will find it unbelievable that you can squeeze together heavy duty hand grips with ease while they themselves struggle and can't squeeze it together at all or barely at all. If you’re an athlete, you need strong hands. 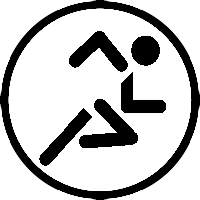 Many professional sports in the world involves moving something with your hands or transferring your body’s power through the hands. Thus having strong hands and strong forearms becomes very important for sports like football, wrestling, baseball, weightlifting, martial arts, tennis, golf, archery, fencing and many other sports that use your arms. Many athletes - male and female - can gain a competitive edge over the competition by having a stronger grip and stronger forearms. Higher strength in your hands and forearms also gives you more motor control and dexterity when trying to accomplish something which is physically straining. Tasks like unscrewing a bolt using a wrench at an awkward angle becomes an easier task for you because your hands and arms are better matched to the task at hand. Setting the gripper basically means that you are using your other hand to help position the gripper in your open hand. Your goal will be to close the gripper far enough so that you can wrap your pinky around the handle and put it in a good position to close the gripper. It may take you a few days or a few weeks to completely grasp the “feel” of setting the gripper but once you do you will reap the benefits faster. Essentially this is a matter of maintaining proper form during your gripping exercises otherwise you will be doing it improperly and not seeing the same fast results. With time you will be able to recognize a "sweet spot" in the palm of your hand for the handle to rest and you won't even need to use your other hand to adjust it slightly. Finding that sweet spot allows you to get the best possible leverage. When I set a gripper in my right hand, I use my left thumb to press one gripper handle firmly into my right palm, while at the same time using my left index finger to pull the other handle closer so my pinky can wrap around it better. Even people with short fingers will have an easier time closing grippers if they set the grips properly in their hand. See the photos on the above right and below. When setting them upside down (so you can exercise different fingers more) you will need to repeat the process, but setting it differently. See photos below. These types of closes are known as "Inverted Closes". Note! Under no circumstances would you want to set the gripper any further than parallel with your fingers. At the same time there is no reason to grip the grippers so that the bars are further than parallel either. Closing it further than that will garner less benefit because it becomes easier to hold them steady in that position. Why not do this if it easier? Because if it is so easy it won't be developing stronger hands. The whole purpose here is to build stronger hands and you need to embrace the idea that this will be difficult to squeeze together because difficulty builds strength. If you want to develop truly strong hands, work on using a very shallow set and practicing "no set closes". No set means you don’t use the other hand to set the gripper at all and you squeeze the gripper completely closed using one hand only. These types of squeezes are much tougher and will make your hands stronger faster. However if you don’t have large hands, this can be difficult for you to accomplish because of your smaller fingers so no set closes may be too difficult for you to do properly. That doesn't mean you shouldn't attempt them however. Don't let small hands become an excuse. Attempt to do no set closes anyway on a regular basis just to see if you can do them and eventually you should build up your strength so that you can do them even with small hands. #1. Correct your pinky placement on the handle. Having your pinky halfway off the bottom of the handle puts your hand in a slightly better leverage position. You still want your pinky involved in the crush and not slipping off the handle though. #2. 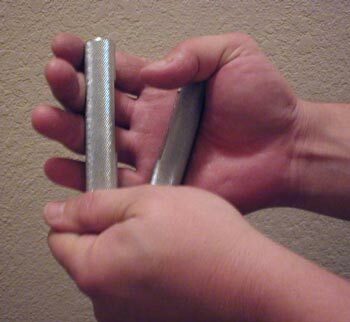 During squeezes you will begin to crush the handles together. 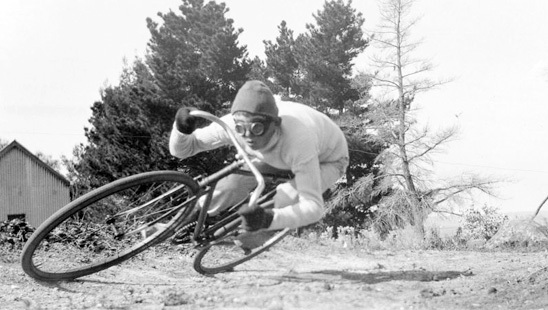 The best advice is to simply squeeze hard and fast! The closer the handles get to touching, the more your pinky and ring finger come into play. 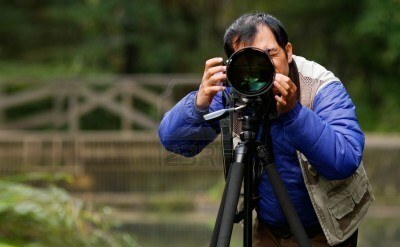 Try to determine which is the hardest angle for you to squeeze to and focus on the squeezing around that angle range. Doing it faster builds more collective brute strength in this case. Where in normal weightlifting it is better to go slow if you want to build brute strength, with grip exercises you want to do it quickly instead. #3. More on Inverted Closes. Since Inverted Closes makes up half the number of grip exercises you should do I think it is important to note the difference in setting the position in your hand. Setting a gripper in the inverted position is a little more tricky than the standard position, but take your time with it. Like above you will find the "sweet spot" soon enough. Don't forget to also do no set inverted squeezes too. Human hands have a remarkable ability to recover quickly from the workout you give them. 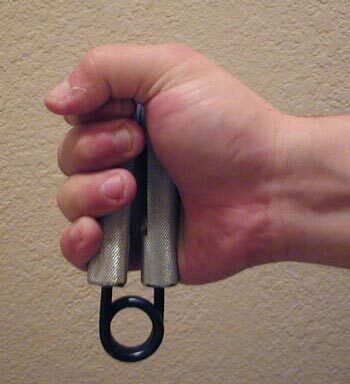 I recommend working with hand grippers 3 times a week if you are a beginner and then start to slowly increase the frequency and volume of your workouts over the course of several weeks. This will give you adequate time in between exercises for new muscle growth periods (every 48 hours) and to fix any damaged muscle tissue. If you still feel pain after 48 hours then you are doing the exercises too frequently and / or using hand grips that are too powerful for you and you need to use an easier set. Below is a sample training program for people who are just starting out. You can adjust the program to your individual needs. 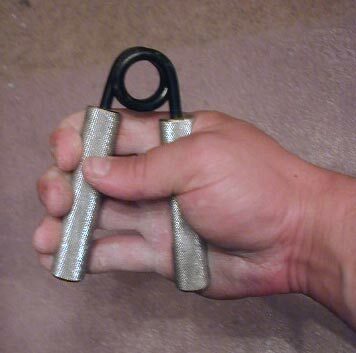 6 to 8 repetitions on a very easy gripper each hand. This gets the blood flowing to your hands. Rest 1 minute. 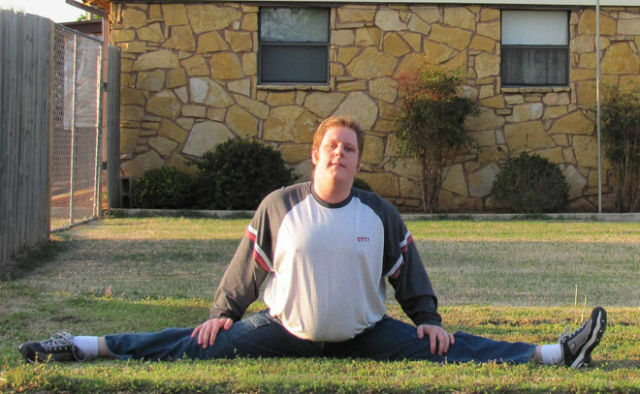 6 to 8 repetitions again, but this time do it inverted. Rest 1 minute. 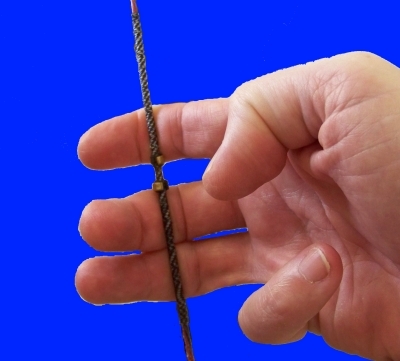 Your Intermediate Hand Grips – 3 each hand, and 3 more inverted. Rest 1 minute. Your Heavy Hand Grips – 5 each hand, and 5 more inverted. Rest 1 minute. 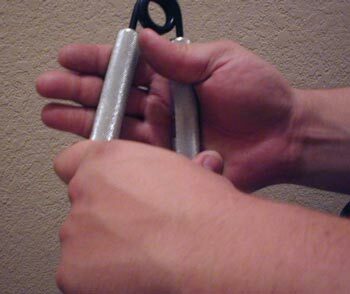 No Set Closes with your Intermediate Hand Grips – 5 each hand, and 5 more inverted. Rest 1 minute. If you are more advanced you may also try Negatives, Braced or Choked Attempts - but I am not explaining those today. Fill a big bowl with cold water and the sink with hot water. Plunge your hands into the sink filled with hot water. Then stretch and flex your fingers before removing your hands. Then plunge your hands into the big bowl of cold water and repeat the process of stretching and flexing your fingers in the bowl. Note: Don't make the water ridiculously hot. "Hot" will do. Scalding or anything that hurts your skin is too hot. Remember to rest in between each set of grip exercises. If you are feeling ill or have low energy and not up to 100% strength, you can reduce the number of squeezes during the warm-up so the bulk of your energy and strength go into the goal gripper squeezes. Stick to each progression of your program for 3 weeks before advancing to a more difficult routine. Use your own judgement to decide how much more difficulty to add each time you change your routine. Common changes include adding an extra day per week, doing more squeezes by increasing the volume per set, changing to heavier grips and doing less squeezes, trying new types of squeezes like Negatives, Braced or Choked Attempts. Building grip strength can be very rewarding and can take your hand and forearm strength to new levels you only dreamed of before. As you get more experienced, don’t be afraid to experiment with new ideas on grip training and different kinds of grip exercises that don't use hand grips. Also sometimes you just need a longer break to build new muscle. 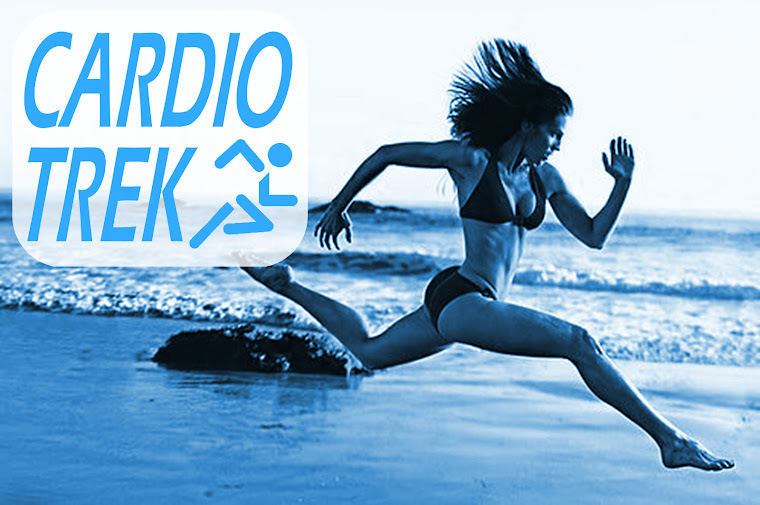 Don't be afraid to take a week off once every 4 weeks and then resume your training the next week. Honestly the fastest way is to cheat. But you have to do it in a smart way. #1. 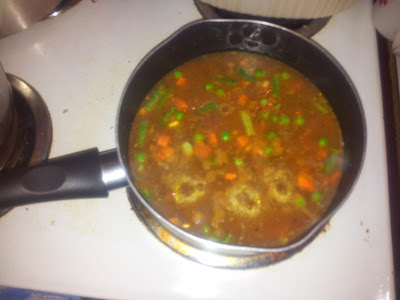 One can of meat/vegetable soup. In this case I am using Campbell's Chunky Beef soup. #2. Add one cup of frozen vegetables. I did say jiffy didn't I? #3. Add half of a can of chick peas (a big can of chick peas is 796 mL so put in roughly 400 mL and then seal the can back up and put in your fridge for later). Remember to rinse off the chick peas with water (hot or cold, doesn't matter) before adding to the pot. #4. Spice to your tastes. I used parsley, basil, salt, and ClubHouse LaGrille Lemon and Herbs. Cook to a boil, then lower to minimum heat and cover. Let sit 5 minutes, then turn off. Let cool for 5 to 10 minutes before consuming. The combination of the soup can and spices ensure you get a very tasty soup. The added veggies and chick peas add a lot of extra hearty nutrients - chick peas especially are really good for you. 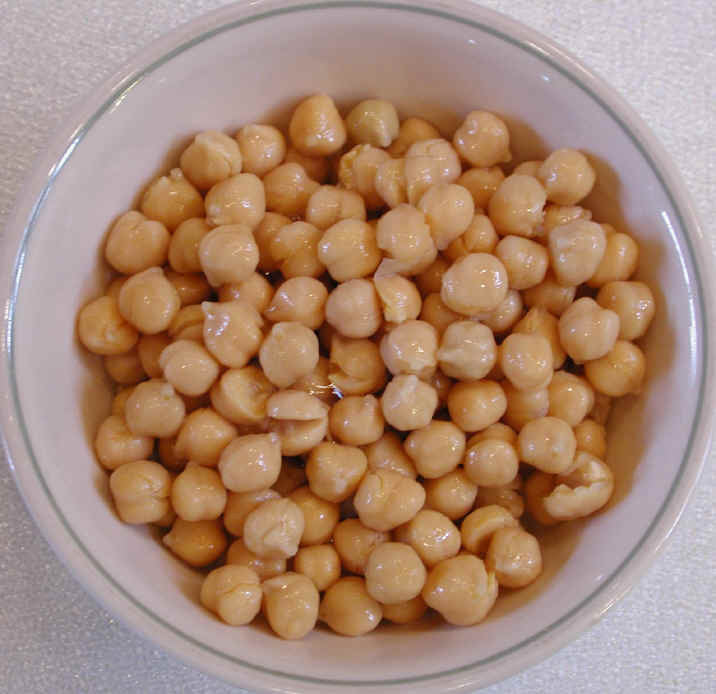 Nutritionists recommend chick peas for people who are trying to lose weight and / or gain muscle, the reason is because they are low calories (134 calories per 125 mL of cooked chickpeas) because they are ridiculously low in fat, and high in nutrients and protein (7 grams of protein per half 125 mL of cooked chick peas). The beauty of chick peas is that they go really well in soup, require very little preparation (just rinse with water before cooking) and they are incredibly good for you.